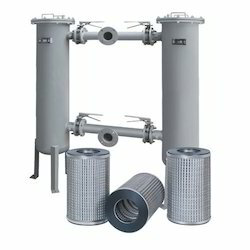 We are one of the leading manufacturer, supplier, exporter and service provider of Gas Filtration. These filters separate particulate pollution from a gaseous waste and employ methods like baffle chambers, settling chambers, cyclone separators, wet scrubbers, fabric filters, and electrostatic precipitates for efficient filtering. Looking for Gas Filters ?